It’s not often that I get weepy over the death of a politician. 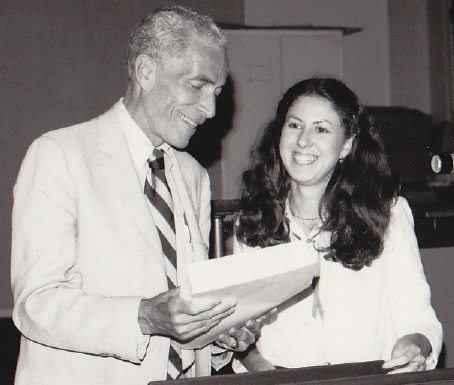 But I couldn’t help tearing up when I heard New Year’s Day that former Senator Claiborne Pell had died. While he served Rhode Island for six terms in the Senate, he truly was a Senator for all of us, a man who believed in public service as a noble calling, and had faith in the power of civility and diplomacy. He worked tirelessly for international peace, human rights, education, the arts and scholarship, the environment and historic preservation. The national press is noting his role in creating the Pell grants which provide financial aid to US college students and his leadership in creating the National Endowment for the Arts and the National Endowment for the Humanities. As a alumni board member of the Rhode Island Council for the Humanities, I have cherished his leadership and support for both the arts and scholarship. But not enough is being said about Senator Pell’s work in support of the environment, human rights and nuclear disarmament. He was always extremely proud of his role as a junior senator in the creation of the Arms Control and Disarmament Agency and of its subsequent role in crafting numerous treaties to limit nuclear weapons. Senator Pell always noted for us his leadership on the Seabed Arms Control Treaty to keep nuclear weapons off the ocean floor and would site that treaty as evidence of the power of international diplomacy and cooperation. Rhode Island and international peace activists had a true champion in Senator Pell. He came to vigorously oppose the Vietnam War. In the middle 70s and 80s, I remember? Senator Pell as a frequently featured guest, often speaking to peace activists at spaghetti dinners in church basements. RI had an extremely active network of peace and justice organizations at that time with which I was actively involved, including the RI chapter of the Mobilization for Survival, the RI office of the American Friends Service Committee, and Women for a NonNuclear Future. Senator Pell’s door was always open. He was one of the earliest supporters of a nuclear weapons freeze and the RI congressional delegation was the first in the nation to endorse such a freeze. Senator Pell and his staff members were activists on human rights. He led the passage of the Prevention of Genocide Act of 1988 in the US Senate as a result of the Saddam regime gas attacks on the Kurdish population of Iraq. As a volunteer with Amnesty International USA, we received assistance on a case of a disappeared Czechoslovakian from his valued staff member of the Senate Foreign Relations Committee, Peter Galbraith, how Ambassador Galbraith. Senator Pell was an environmentalist and a supporter of historic preservation. When I worked at Save The Bay in the early 90s, Senator Pell and Senator John Chafee were supportive trustees (honorary council). For many years Senator and Mrs Pell hosted our annual fundraising gala on the lawn of their modest Newport RI ranch house on a stunning sight overlooking the ocean. While this sounds modest, it was quite a disruption for them including a tent large enough to hold 1,000 people, negotiations with neighbors,? parking, down to the port-a-potties on their property.? (WIth an on-going tribute to Save The Bay’s splendid major gifts director Anne Garnett who made this magic happen). A fitting tribute … may we continue his work in honor of his passing. A beautiful tribute, Gayle, that keeps the mission and work of Senator Pell and Julia Pell alive. Nice pic – you haven’t changed a bit!